Raw Crystal Quartz / Herkimer Diamond Stud Earrings by Hawkhouse Jewelry. 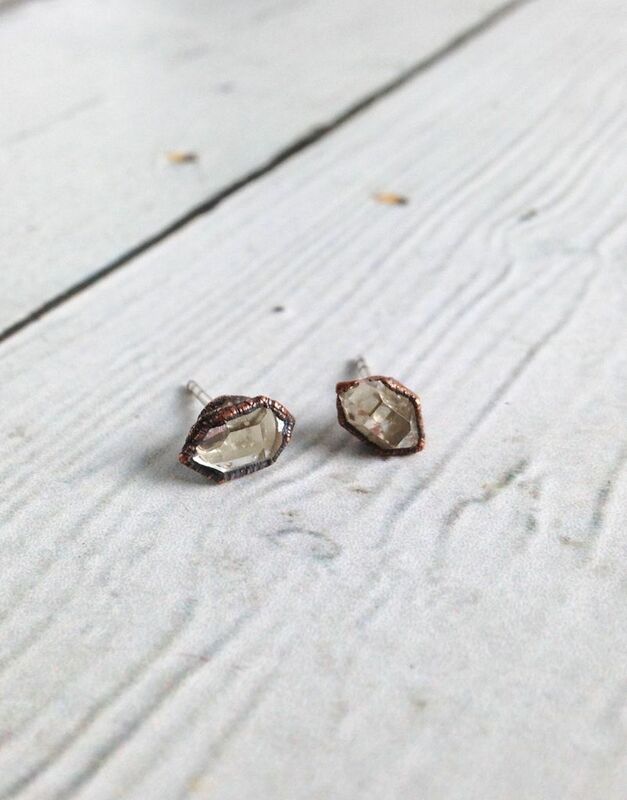 These quartz stones are encased in copper and set on sterling silver posts with sterling silver earrings backs. 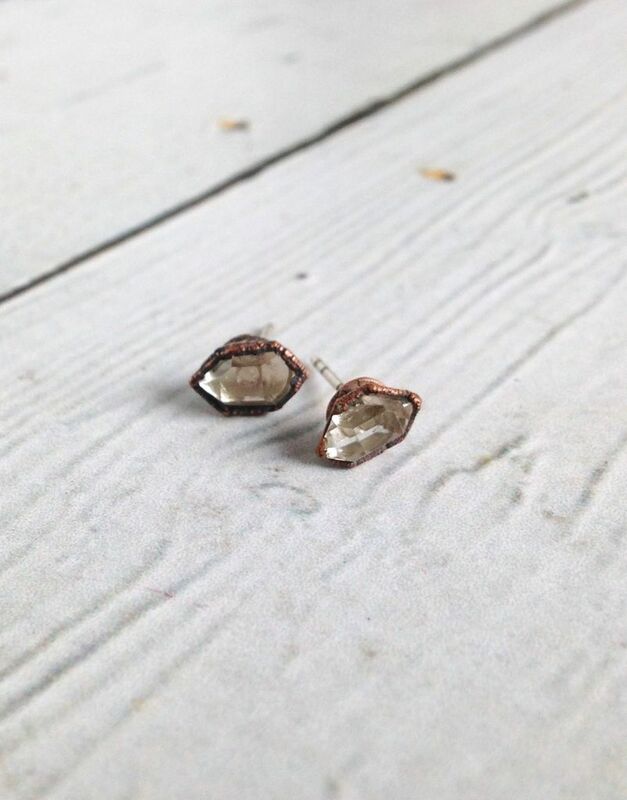 Herkimer Diamonds are actually a double terminated quartz stone from Herkimer, NY. 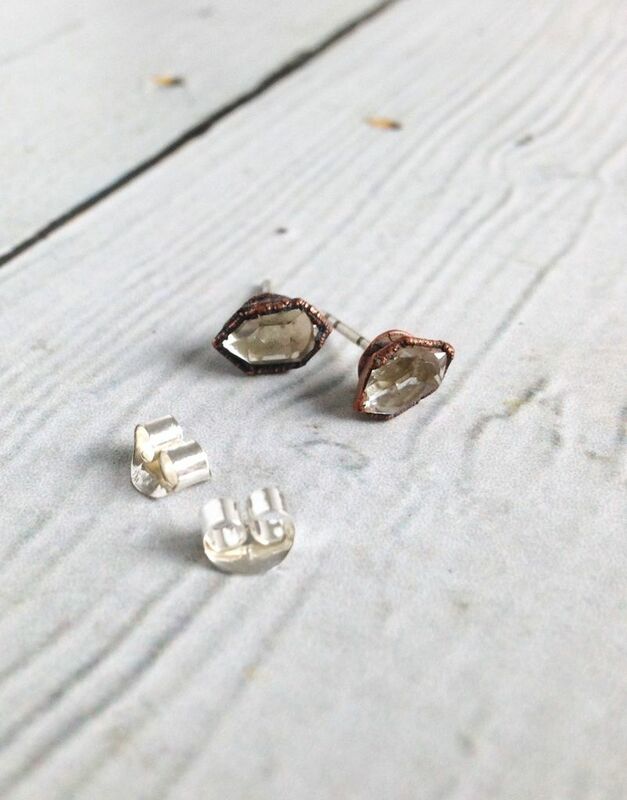 Its brilliant, transparent diamond-like beauty makes it well suited as an April birthstone. 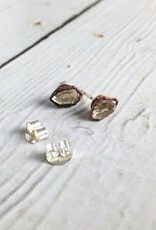 Each pair of earrings are completely one-of-a-kind. No size, shape, or stone will be exactly the same. That’s what makes these so magical! Made by HawkHouse Jewelry in Martha’s Vineyard. All of our jewelry is gift boxed and ribboned, prefect for giving (or keeping)! 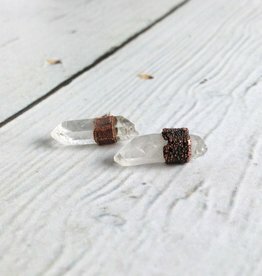 Raw Quartz Stud Earrings by Hawkhouse Jewelry. 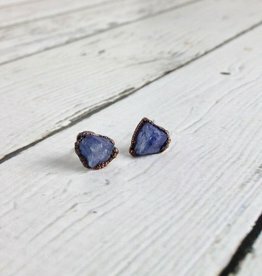 Each pair of earrings are completely one-of-a-kind. No size, shape, or stone will be exactly the same. That’s what makes these so magical! 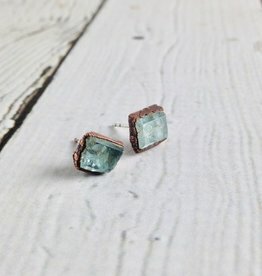 Raw Aquamarine Electroformed Stud Earrings by Hawkhouse Jewelry. 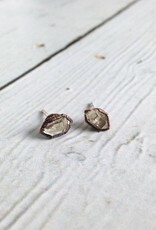 Each pair of earrings are completely one-of-a-kind. No size, shape, or stone will be exactly the same.